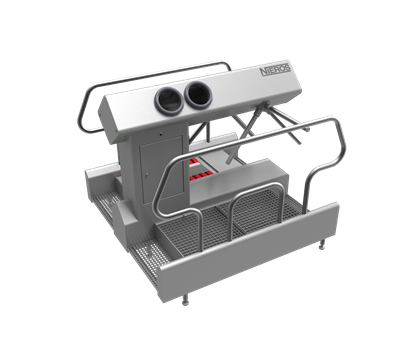 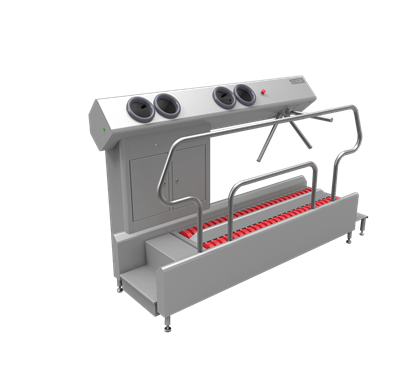 With a single lane, NIEROS® Hygiene Station UDK is a great solution for production lines with limited space. Its high operating capacity allows 10–15 persons to go through the entry point per minute (5 seconds per person). 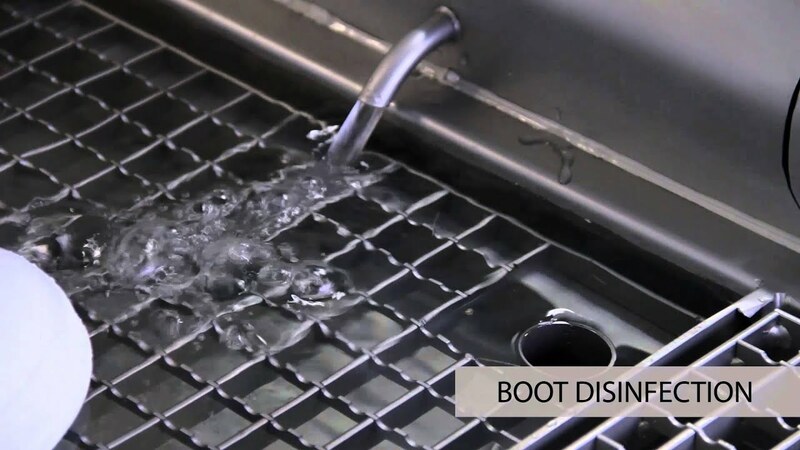 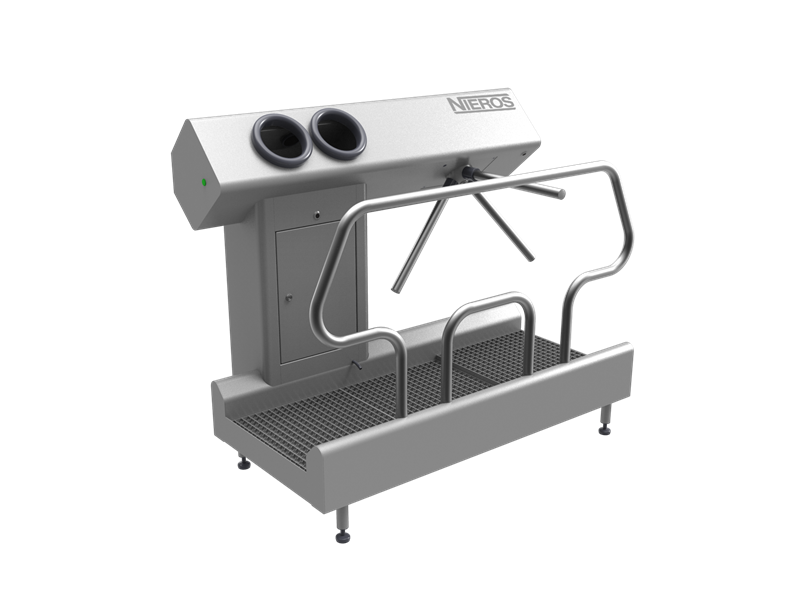 By including a footwear sanitization basin with a drip-off zone, it guarantees optimal personnel hygiene. 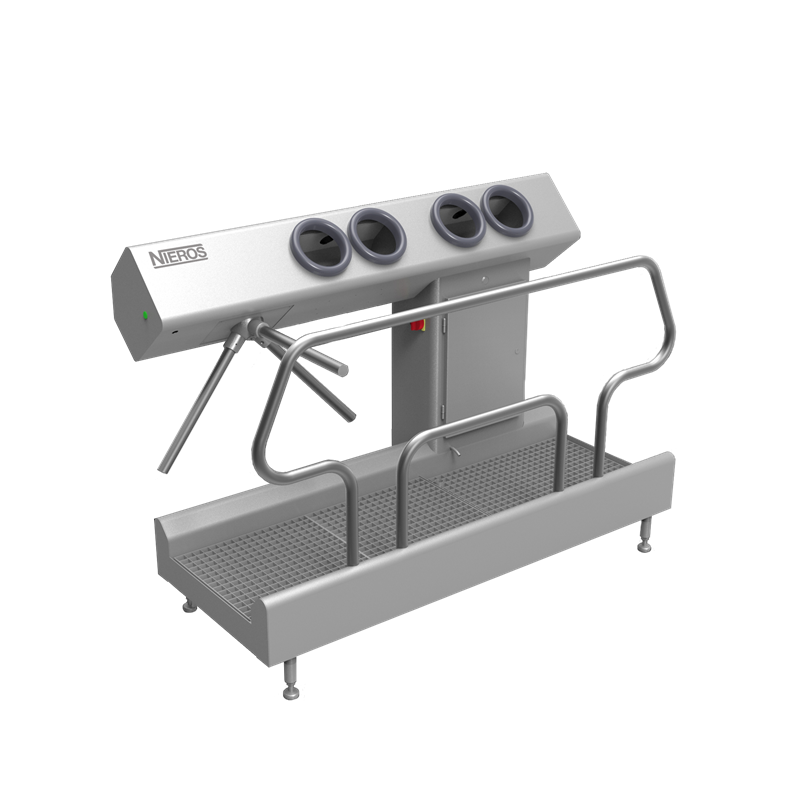 An additional pair of hand-washing chambers is positioned as a pre-sanitising phase. 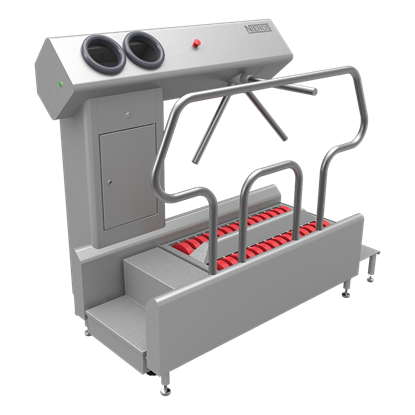 High-capacity operation: 3–4 persons per minute (15–20 seconds per person).